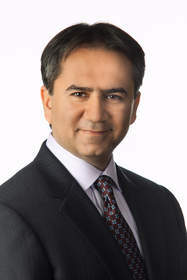 FREMONT, CA--(Marketwire - Feb 19, 2013) - Ikanos Communications, Inc. (NASDAQ: IKAN), a leading provider of advanced broadband semiconductor and software products for the digital home, today announced that Kourosh Amiri has joined the company as its new vice president of marketing. Mr. Amiri will report to Omid Tahernia, president and CEO, and will lead the company's global marketing and product strategy. With more than 20 years of experience in the semiconductor industry, Amiri has been responsible for the successful introduction of products targeting a range of applications in the networking, communications, and consumer segments. "With the rapid growth in consumer appetite for generating, sharing, and consuming content, and the cloud-based storage and delivery of this content becoming mainstream, the demand for bandwidth and broadband connectivity has never been stronger," said Amiri. "With its industry-leading broadband technology, impressive patent portfolio, and strong technical and management teams, Ikanos is very well positioned to meet this rising consumer demand and to take a leadership role in shaping the future of digital-home content sharing and delivery." "As broadband rates of 50 to 100Mbps are now required for applications such as gaming, streaming video, VoIP and IPTV -- all operating within the home -- it's critical that we have the right strategy to ensure we turn our unique technical advantages in broadband connectivity and home networking into successful and profitable products in the marketplace," said Tahernia. "Kourosh brings the right balance of networking and consumer market experience to help us better define and execute on such a strategy." Amiri joins Ikanos from Cavium, where he led marketing and business development for its emerging media processor group, and drove the strategy for turning Cavium into a leading supplier of wireless display media processors in multiple market segments, including smartphones and PC accessories. Prior to joining Cavium, Amiri held senior marketing and business development roles at Freescale and several venture-backed semiconductor start-ups, addressing a wide range of networking and media processing applications. Amiri has an MSEE from Stanford University and a BSEE from the University of California, Santa Barbara. © 2013 Ikanos Communications, Inc. All Rights Reserved. Ikanos Communications, Ikanos, the Ikanos logo, the Bandwidth without boundaries tagline, Fusiv, Ikanos Velocity and NodeScale Vectoring are among the trademarks or registered trademarks of Ikanos Communications. All other trademarks mentioned herein are properties of their respective holders. This press release contains forward-looking statements that are subject to risks and uncertainties concerning Ikanos Communications, including statements regarding our leadership position, outlook such as our expected revenue, gross profits, operating expenses, and the anticipated benefits of non-GAAP measures, our product testing and shipment, and anticipated benefits and acceptance of our products. Actual events or results may differ materially from those described in this document due to a number of risks and uncertainties. These potential risks and uncertainties include, but are not limited to, macroeconomic conditions which may cause our customers to defer purchasing plans, our ability to deliver full production releases of our newer products and the acceptance of those products by our cu1stomers, the continued demand by telecommunications service providers for specific xDSL semiconductor products, the failure of service providers to implement deployment plans on schedule or at all, our continued ability to obtain and deliver production volumes of new and current products and technologies, our ability to generate demand and close transactions for the sale of our products, our ability to develop commercially successful products as a result of our current research and development programs, our ability to successfully execute our restructuring plan, and unexpected future costs, expenses and financing requirements. In addition, for a more extensive discussion of such risks and uncertainties, which could cause actual results to differ from those contained in the forward-looking statements, see the section entitled "Risk Factors" in our Annual Report on Form 10-K for the fiscal year ended January 1, 2012 filed with the Securities and Exchange Commission (SEC) on February 23, 2012 and our Quarterly Report on Form 10-Q for the fiscal quarter ended July 1, 2012 filed with the SEC on August 2, 2012, as well as other reports that Ikanos files from time to time with the SEC. Ikanos is under no obligation to update these forward-looking statements to reflect events or circumstances subsequent to the date of this press release.